What’s with all the Pioneer Woman stuff anyway? For the record, the philosophy that has spurned my recent activity is not new. Up to this point, I haven’t been making things that were pretty (like soap and beautiful canned goods) so I didn’t take pictures that made people ask me questions. I also don’t like to preach at people, so I haven’t necessarily talked about the changes I have made over time. I The process has been gradual and recently, become a lifestyle choice as well as a hobby. When my mom was diagnosed with breast cancer, I bought a book called, “Anticancer: A New Way of Life” by David Servan-Schreiber. It was written by a doctor who was given a cancer diagnosis that by all rights should have claimed his life. Through lots of research, he discovered some lifestyle things that he believed reduced the risk and spread of cancer by making the body less habitable to cancer cells. He eventually died of his cancer in 2011, after nearly 20 years. I like to think that his research and lifestyle changes gave him many of those 20 years. More about his life, theories and death can be found here and in other articles online. During the same time period, my mom’s doctors (both her surgeon and oncologist) said that they only consume organic dairy because of all the added hormones in regular dairy. Since my mom’s cancer was fed by estrogen, and our food products are from animals that have been fed an excess of estrogen to make them grow bigger, I took note. That year, I gave myself a challenge of creating an organic Thanksgiving meal. Every single ingredient I used (down to the pumpkin pie spice) was organic. It was expensive, but a fun challenge (20 lb organic turkeys cost about $100 in case you are interested). Since then, all our milk, eggs and butter are organic. I buy organic cheese when I can but unfortunately, we eat a lot of cheese and organic cheese is very expensive and not that easy to come by. We also buy organic grass fed beef (grass fed, rather than grain or corn fed beef has HUGE health benefits, as documented in the book and literature out there). We order from a farmer in Ohio who butchers and ships twice per year. Check out VanBuren’s Farm here (you won’t be disappointed). At around the same time, Mark’s daughter had some health issues that were amplified by chemicals or preservatives in food. Before she had surgery to correct her issues, she had to go on an organic vegan diet. This is probably what started my diligent label reading. It made me very aware of how much of our food (especially the canned foods) has extra chemicals and preservatives in it. I started to take the attitude that if I couldn’t pronounce it, I shouldn’t eat it. Any prepared food with a long ingredient list is usually put back on the shelf. This doesn’t mean that I have no processed food around, or that I don’t eat stuff at parties or restaurants. I still love me some Cheetos and I’m pretty sure there is nothing in those that comes from nature. But I am more diligent overall. Fast forward…a little over a year ago, a friend of mine started posted things about diet changes she had made for her family. We started communicating about it in private messages. The changes she made were MAJOR and felt overwhelming to me, but she encouraged me to start small. Rather than tomato products in cans, I should can my own (among other things). Since I already mdke my own sauce, and I have canned in the past, I decided I could do that. Since organic fresh produce is not widely available here, I contacted a local farmer about their spraying practices. I liked what they said (only spot treatment, and only when necessary) so bought some tomatoes. I spent a couple of weekends making and canning sauce made from their tomatoes and basil from the farmer’s market. I loved doing it and loved that I had sauce for the year already made. Last fall, I made another major change and gave up all soda. For years, I drank Diet Coke every day and didn’t think I would ever give it up. The more I saw about the evils of Diet Soda and artificial sweeteners, the more I became convinced that I needed to give it up. We got a Sodastream Soda maker and I made the switch to carbonated water about a year ago. I still like fizz and this has satisfied that craving. Every once in a while, I think I want some Coke or something and will take a sip. All that does is prove that I have lost the taste for it. I can’t stand the sweetness and will hopefully never drink it again. I really don’t know what got me so interested in making my own cleaning products. Maybe it was Pinterest and all the things I was seeing about homemade laundry detergent and other cleaning products. I know that I absolutely HATE the smell of bleach, do not like chemicals on the surfaces in my kitchen (if it isn’t safe to eat, why would I want it on my counter that will touch food)? Truly “green” cleaning products are expensive so I decided to give it a whirl. 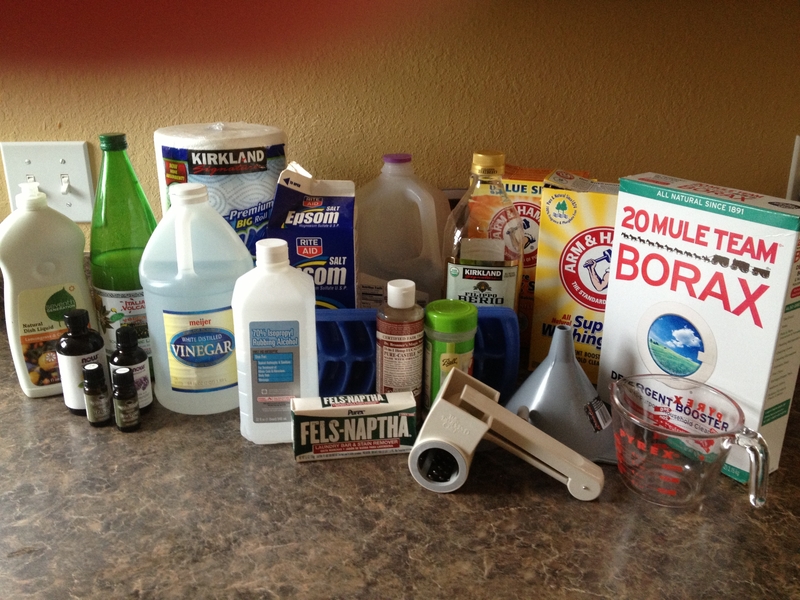 I did lots of research, bought some essential oils and the other ingredients that I didn’t already have (mostly lots of vinegar and a giant box of baking soda) and made a batch of cleaning products. 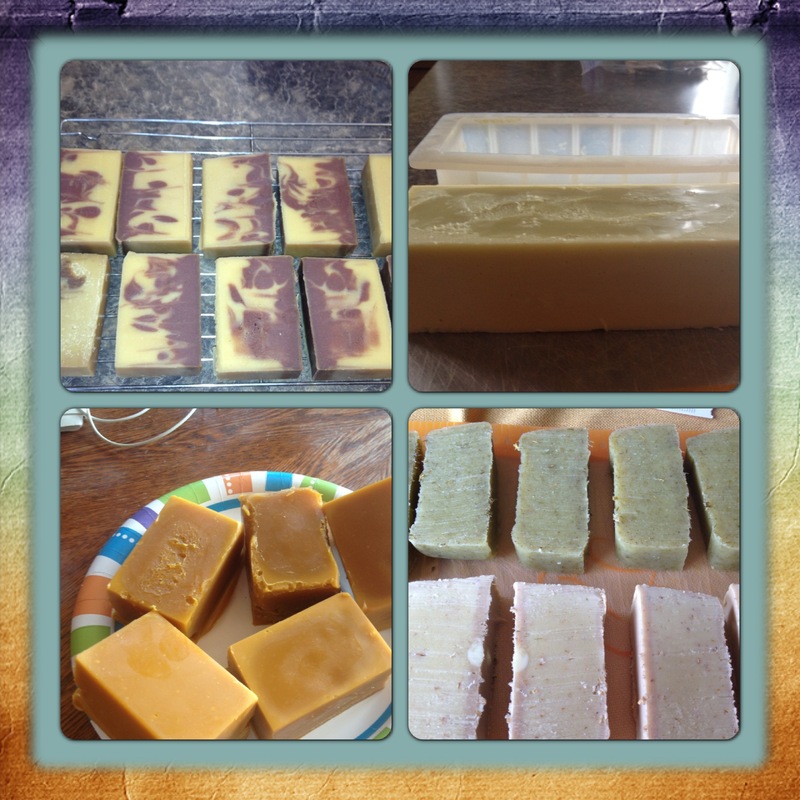 With the exception of the dishwasher soap (which I still can’t make work), I absolutely LOVED every product that I made, The smells were divine and they worked better than anything I have ever tried. They are gentle on my hands and I don’t have to smell bleach. I am hooked and will never go back. Not only is this stuff super simple and fast to make, but it is also incredibly inexpensive to make. I will save a ton of money over time. It is also safe. If it comes in contact with my food, I know that there would be no harm in consuming it. After all, the primary ingredients come from my kitchen pantry. 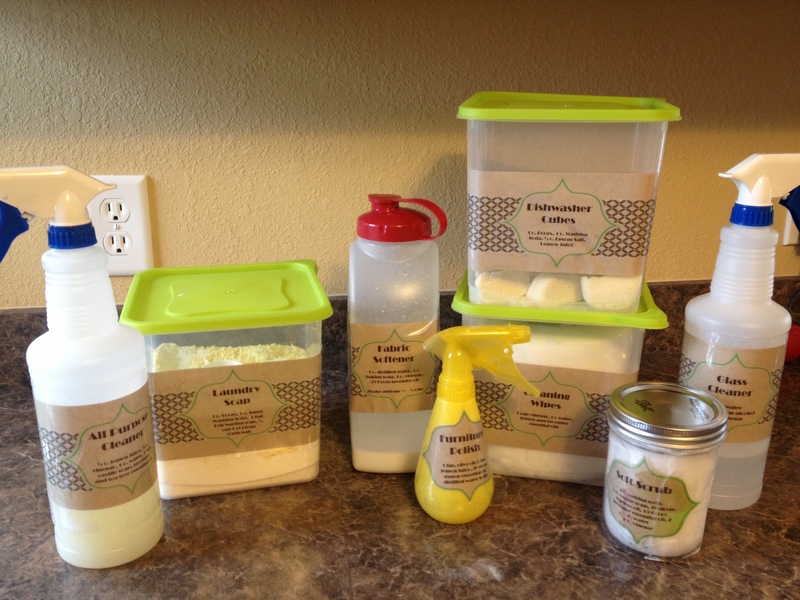 My favorite homemade products (and instructions) can be found here, here, here, here and here. If you want to check out my “Going Natural” Pinterest board to see what other things I’d like to try, it can be found here. The last shift (and the one that has received the most attention) is canning. This is what you need to know. This is not new for me. I was raised on home canned products. My parents had a huge garden when I was little, and they had a limited budget. My mom canned over 350 jars of produce every year and this is what we ate all winter. She baked all our bread (Saturdays were bread making days) and baked everything from scratch. We never had commercially made desserts or artificial anything in our house. I thought I was deprived because my mom never bought Twinkies. Now, I see how lucky I was. When I was young, I did not have chemicals in my food. Nobody talked about organic, but that is exactly what we had, because it was grown by us or farmer friends, or was picked off fruit trees in my grandparent’s yard. We didn’t drink Kool-Aid and Coke was a once a week treat (one small glass out of a shared bottle). 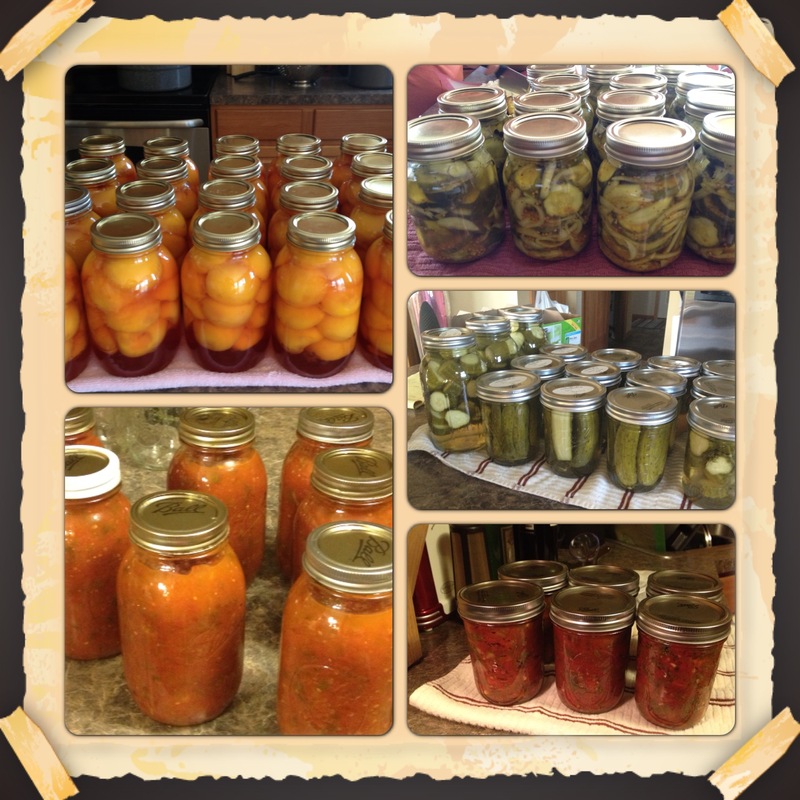 When I was in my early 20’s, I did some canning and preserving but over time, gave it up. I have taken it up again and I feel like I am preparing the foods of my childhood. We don’t have big garden so we buy from the local farmer or farmer’s market. I do this because it is DELICIOUS (I dare you to find a canned peach that tastes as good as the ones I canned), and because I enjoy it. The work is tiring but cathartic. I love being in the kitchen and I love making good nutritious food for my family. It combines my love for cooking with the part of me that cares for my loved ones through food. I know exactly what ingredients are going into everything I make and know that what I am making is healthy. At the suggestion of Cindy Bench of Bench’s Farms, I have started a canning diary so I know exactly how much produce results in how many jars of finished product. I will make note of when I run out so I know how much more or less to can next year. As many of you know, I am less than two years away from being an empty nester. I NEED to have hobbies people!! The things I am doing are fun. They combine the things that I love and have resulted in a hobby that is useful. I am not interested in selling or starting a business. I just want to make products for me and my family to use that will have benefits to our health, skin and bodies and will reduce the use of chemicals in our home and food. That is the story. As you can see, this has been an evolution for me. You could say that it started 5 years ago, or you could make the argument that it started 42 years ago in my mother’s garden and kitchen. I will try not to push my philosophy on others, but will be glad to post pictures of the wonderful things I make and answer questions from anyone who is interested in starting to do any of the things that I love. If you want to make changes, start small. No change is too little. I believe that my health is a gift and that it is my responsibility to protect that gift as best I can. 11/28/13 Today’s Advice to My Beautiful Daughters: It’s ok to cry.